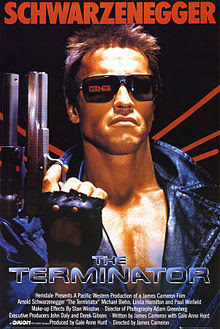 Lompoc Brewing has teamed up with the Hollywood Theater, 4122 NE Sandy Blvd, for a double feature of Terminator 1 & 2 on Friday, June 14th at 7:30pm and 9:30pm Cost is $8 for both shows. Come early for a meet and greet with the brewers and happy hour from 6-7pm. The event will feature the specially brewed "Ryes of the Machines IPA" from Lompoc, as well as five other Sci Fi inspired IPAs created by the Portland brewery, including Prime Directive IPA, Calling All Monsters IPA, Allons-y IPA, Electric Sheep IPA & Gallifrey IPA. Visit http://bit.ly/139Qgmp for complete beer descriptions and to purchase tickets.